When you don't want blur, it's the worst. But when you can control it—even isolate it in the frame—blur can be beautiful. 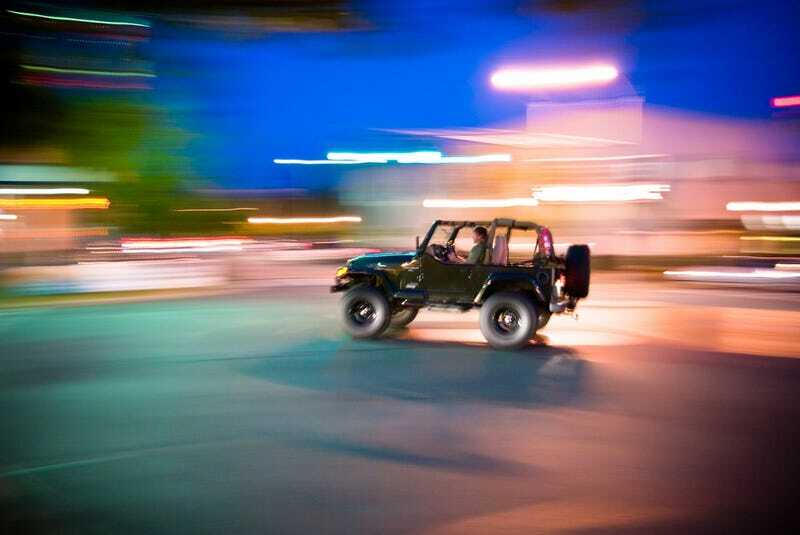 For this week's Shooting Challenge, you'll capture a clear subject in a world of motion blur. Capture a sharp moving subject surrounded by blur. This is true photographic technique. It's not just about setting the right shutter speed (though don't set that too fast, or it won't work!). To capture a moving target with a backdrop of blur, you'll need to pan your camera in real time while shooting bursts. The idea is to match your subject's speed with your own movement. Our lead shot is by flickr's Robert S. Donovan. It's actually not a perfect example of the technique. It's what happens when you're 90% of the way there with your pan. (The subject is sharper than the background, but still not perfectly sharp.) It's also possible that the shutter speed was a touch too slow. The payoff is so much better when you keep shooting until you capture the 100% perfect shot. Be patient. Push through. You'll get it. Send your best photo by Monday, September 17th at 10AM Eastern to contests@gizmodo.com with "Motion" in the subject line. Save your files as JPGs, and use a FirstnameLastnameOne.jpg (970px wide) and FirstnameLastnameMotionWallpaper.jpg (2560px wide) naming conventions. Include your shooting summary (camera, lens, ISO, etc) in the body of the email along with a story of the shot in a few sentences. And don't skip this story part because it's often the most enjoyable part for us all beyond the shot itself!